Brian is responsible for the standards strategy of Kandou Bus. Brian was the Co-founder of StrataCom, a frame relay and ATM switching equipment company that was acquired by Cisco Systems in 1996 for 4 Billion USD. 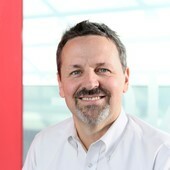 Brian was the founder and CEO of Network Synthesis, which was acquired by IgT in 1996, where Brian remained as CTO. IgT was acquired by PMC-Sierra in 1998, where Brian remained until 2007, serving as their Director of Standards. He is the Chairman of the USR-Alliance, MA&E Co-Chair of the Optical Internetworking Forum (OIF), is active in several committees at JEDEC, and participates in 802.3. He is a Fellow, Technical Chair & President of the Hypertransport Consortium and has participated in numerous other standards bodies. He has written three books. Brian has 39 issued U.S. Patents. He holds a Bachelor of Science with highest honors in Electrical Engineering from U.C. Davis and an MBA from Cornell University, where he took most of his electives in EE & CS. Brian lives in Silicon Valley.